Are you looking for a car rental in Canberra? BargainWheels can help you find a great bargain in rental cars as we list down all the affordable vehicles offered by our partners. You can easily sort the results by price to help you find the cheapest hire car in Canberra. Canberra is the capital city of Australia and has a population of just over 340,000. It is the largest inland city in the country and was designed by Chicago architect, Walter Burley Griffin. After it was selected to be the capital in 1908, unlike other major cities in Australia, Canberra was a purpose built and planned city. It is home to Parliament House and the High Court of Australia. Other places of interest include the National Gallery of Australia, the National Museum of Australia and the National Library of Australia. 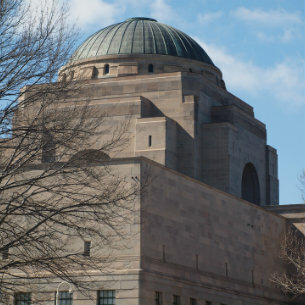 The Australian War Memorial is also located in Canberra. Why book a rental car in Canberra with BargainWheels? Renting a rental car in Canberra is easy with BargainWheels and you can select to hire a car from leading suppliers such as Avis, Budget, Europcar, Thrifty, Hertz, and Enterprise all in one comparison list. We can also help you find a car rental in Canberra Airport that will suit your budget and needs. Compare car rental rates in Canberra with us today and you will save money and time. By using our rate comparison tool, you can search amongst all the vehicle classes available and see which supplier is offering the best deals. If you have any issues booking a rental car, or not sure which location may be convenient for you, feel free to contact us. Customer satisfaction is key for us so get in touch with us either through phone call, email or live chat. You can also send us a message on Facebook messenger. The climate in Canberra is not influenced by a coastline or ocean environment like most other major cities are in Australia. There are four definite seasons and the city transforms in colour and also atmosphere as the seasons change. As the city was designed with natural vegetation in mind, depending on what time of year you visit Canberra, you can expect to see vibrant colourful trees and plants in and around the city centre. If you happen to be there in winter, you will taste the cold, bitter weather that presents fog and frosts. Whether it’s the coastline or further out west that you want to explore, your cheap car rental will provide you with the ability to travel on a whim. So do yourself some justice and make sure you take advantage of the natural, beautiful scenery that can be enjoyed by having a cheap car hire in Canberra. While planning your itinerary, it is best to check the Canberra weather forecast so you will know when to explore the outdoors. There really is so much to see and do in Canberra and having a rental car allows you to see the sights and enjoy the Capital City of Australia. Driving around the Canberra is easy when you have a car hire in tow. Whether you’re out in the streets for a weekend trip or a short break, places to visit will be enough to provide you the rest that you deserve. 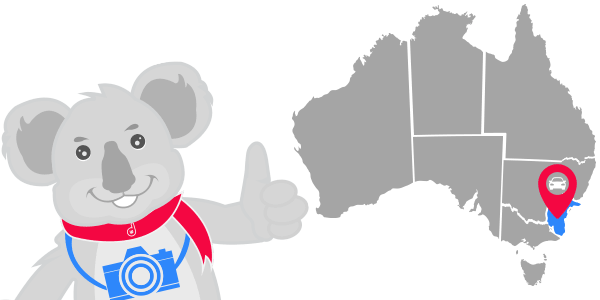 Before hopping in your hire car, make sure to check Live Traffic NSW to serve as your guide for routes within the city and heading to Sydney and Melbourne. When you are driving from Sydney, engage through the scenic routes by following the coastal Princes Highway going to Batemans Bay. Turn to Kings Highway and head over to Canberra while passing through the historic towns of Bungendore and Braidwood. When you take the Mittagong exit from the F5 Freeway, following the Old Hume Highway, prepare to be mesmerized by the scenic Bowral, Mittagong, Sutton, and Moss Vale Forest. Rejoin the F5 Freeway and continue to Goulburn and Canberra. Expect a 3.5-hour direct driving on this route. If you’re coming from Melbourne, prepare for an 8-hour long direct drive. This is probably the route most ideal if you’re looking for a quick vacation or a short break. All the pleasure of city conveniences and country driving is within your reach. Head over to the coast road through Genoa, Bairnsdale and Eden going to Batemans Bay. Turn your rental car to the Kings Highway going to Canberra to pass through Braidwood and Bungendore, Canberra’s historic towns. So when you think of a car hire provider in Australia to fill your needs, think BargainWheels, the true professionals in the car rental industry. Because Canberra is the capital of Australia, you will find so many interesting things to do and see here. With museums, art galleries and gardens spread throughout the city, you will not find it hard to find something to help past the time away, and in some cases, you may find that you run out of time. Here are some ideas on what to do in the Canberra with your hire car. AIS – Australian Institute of Sports – This is where elite athletes from all over the country are brought to train at an intense level with others that are just as talented. You can join a tour of the AIS and see the modern facilities provided to Australia’s elite athletes along with the world class technology and equipment that helps them to achieve their dreams. It is a very inspiring place and is definitely a trip for the whole family to enjoy. 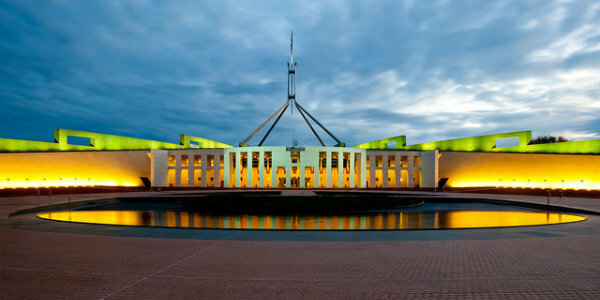 Parliament House – Take a visit to where the politicians make the decisions. You can take a self-tour in the public accessible rooms of Parliament House, and even take a trip upstairs to see the beautiful view of the area. Australian War Memorial – The Australian War Memorial is unbelievable. With interactive displays and a number of in-depth historical recounts, it is sure to leave you contemplating the past. You can drive your rental car to the Memorial as there are 2 free car parks you can utilise. Australian National Botanical Gardens – Don’t have to leave the capital city to enjoy the native plants and fauna. Park up the rental car and enjoy a day in the fresh air and sun. The Australian Reptile Centre Canberra – Take a peek at Australia’s deadliest reptiles when you visit this reptile centre. View the Death Adder, the Taipan and one of the world’s largest snakes, the Scrub Python. National Zoo and Aquarium – Find the world’s grandest animals like lions, bears, and tigers as well as a magnificent display of land and sea animals. The zoo is also popular for housing the largest collection of big cats in Australia. Also a great kids pleaser, the National Zoo and Aquarium is a great place to visit if driving around with the kids in the back of the rental car starts becoming a handful. 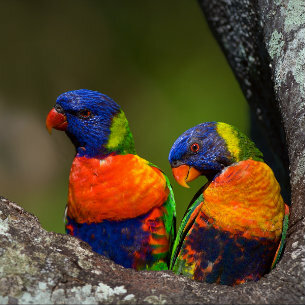 The Bird Walk – Uncover 500 bird species in the 1000 square-metre aviary in Canberra’s Bird Walk. One hundred parrots, roughly 80 inches and other Australian birds can be found here, making sure the 9-metre high aviary is bursting with colour. Depending on your reason for visiting Canberra, you can find very convenient accommodation with options that will suit most bank balances. Best Western Tall Trees – Located in Ainslie and within walking distance of the city centre, you will find that staying at this 4-star hotel will provide you with being centrally located in Canberra. This means that a rental car accompanied by accommodation at the Best Western means that you can explore the city and head out in any direction. Although the rooms are not self-contained, you will have access to a number of restaurants and cafes to feed your appetite. Novotel Canberra – Located on Northbourne Street in Canberra City, the Novotel offers great accommodation for your next visit to Canberra. With the recent refurbishment, the Novotel now has a new bar and restaurant ready for you to enjoy. BreakFree Capital Tower – Located on Lake Burley Griffin, you can enjoy the relaxing atmosphere supplied by the BreakFree, even though you are in the heart of the nations capital. There is secure parking for your hire car, with walking and cycling tracks at your doorstep, you may decide to explore Canberra by foot. There are a few accommodation options, so make sure to do your homework before traveling and you will have the time of your life. Diamant Hotel Canberra – Located near Lake Burley Griffin, you will also find this ‘Diamond in the rough’. Originally the Hotel Acton building, this historical heritage listed building has now been transformed into the NewActon Pavilion. A beautiful 80 room luxury boutique hotel, it is located in Canberra’s first true urban centres giving you plenty to enjoy and explore by foot should you choose to leave your hire car at the hotel.